More and more websites nowadays are offering online courses, learning hubs or other educational online services. Masterstudy is a professional education and LMS WordPress theme which has been designed to create high-quality websites for education businesses. The features and design of this WordPress theme are based on extensive research into the education and learning industry. In combination with the Masterstudy WordPress plugin you’ll have access to different types of lessons, real-time Q&A during lessons, quizzes, subscription survives, paid memberships, payment integrations, student profiles and much more. 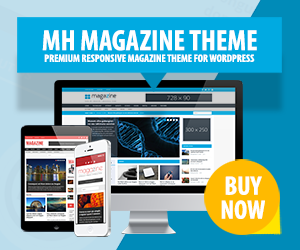 This education WordPress theme can be easily installed through a 1-click demo import of 3 stunning demos. Overall the Masterstudy WordPress theme is ideal to create elearning platforms like Udemy or Treehouse and you can create websites for colleges, academies, universities and schools as well.